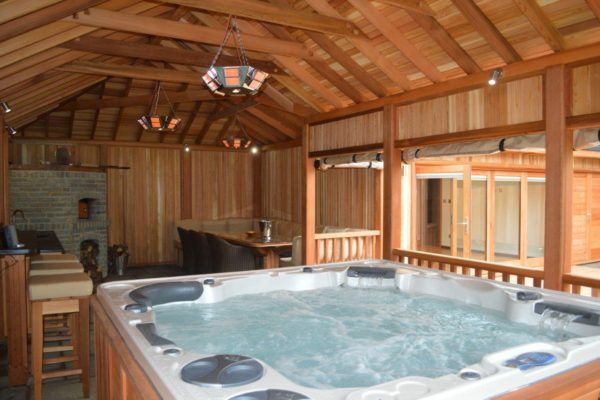 Two years ago, the holiday home owners of The Barns in Lyonshall, Herefordshire, made a very sound business investment and installed two Caldera hot tubs. Since then, they have seen a virtual stampede in bookings with almost all year round occupancy and have recently added a third. 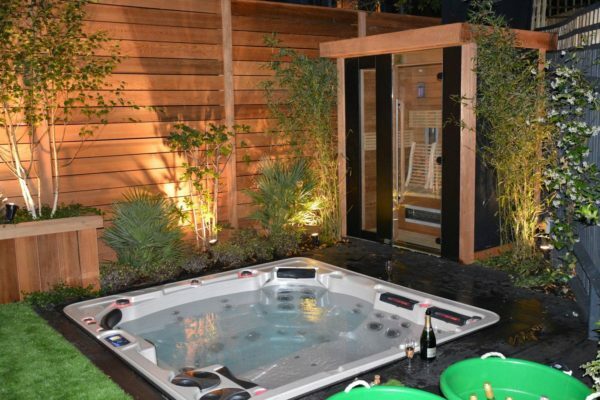 We met our customer at a County Show, where we exhibited seven hot tubs and one swim-spa. 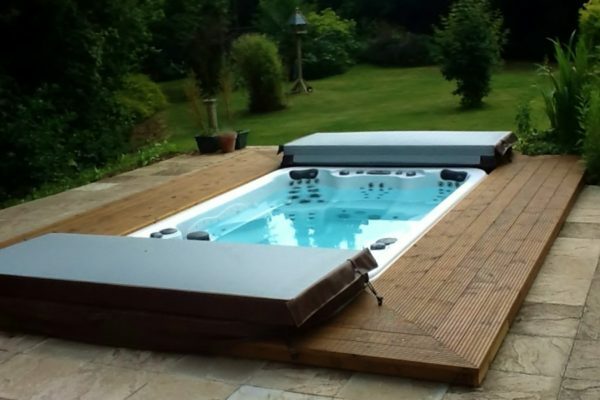 The keen cyclist customer gave us a brief of wanting a combination of a serious exercise pool for him and his wife (a swimmer) a fun pool for the two children and a relaxing place to switch off, “get away” and communicate with friends and family. 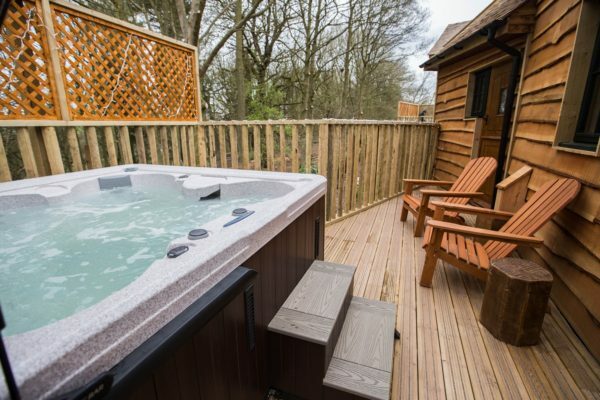 Hot tubs have provided a touch of luxury at for guests at Alton Towers’ brand new Enchanted Village resort. 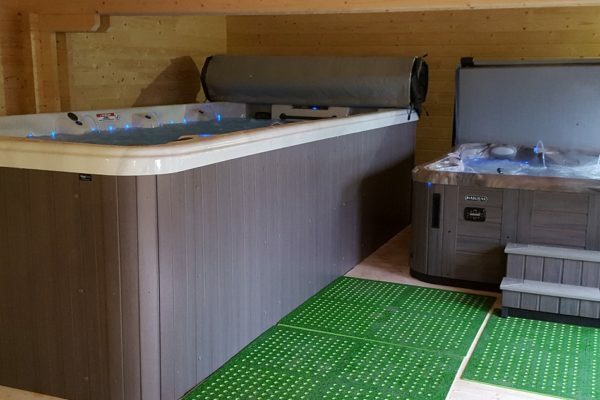 A couple from Lincolnshire are enjoying the leisure and health benefits of their new Vita Spa swim spa, which was installed by Lincolnshire-based 1 Stop Spas last summer. 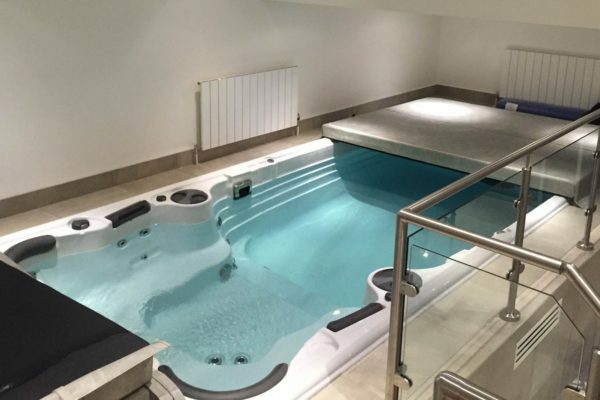 It was a race against time for the 1 Stop Spas team recently as they raced to complete a swim spa installation in three days, in time for a client’s 40th birthday party. The desert springs resort and golf club is an international award winning family leisure resort with exclusive luxury homes set beside the emerald green fairways of a unique and stunning championship desert golf course in Almanzora, southern Spain. 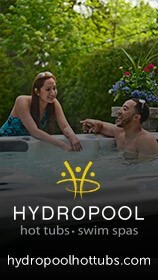 Hydropool installed a swim spa at local brain injury home. This luxury four bedroom home offer the best in contemporary architecture combined with the stunning natural beauty of the Sandbanks peninsula and Poole Harbour. 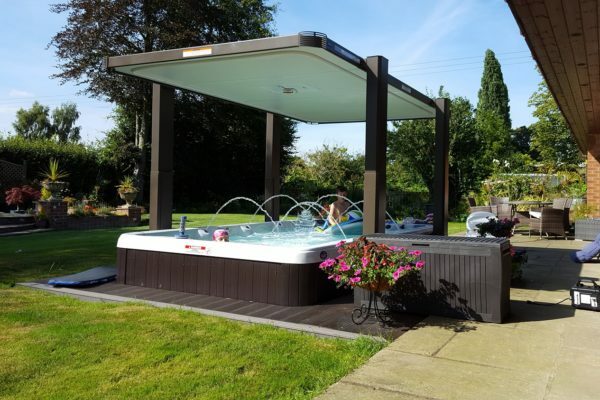 This is one of our most delightful installs where the customer wanted to achieve the ultimate relaxation area within his garden. 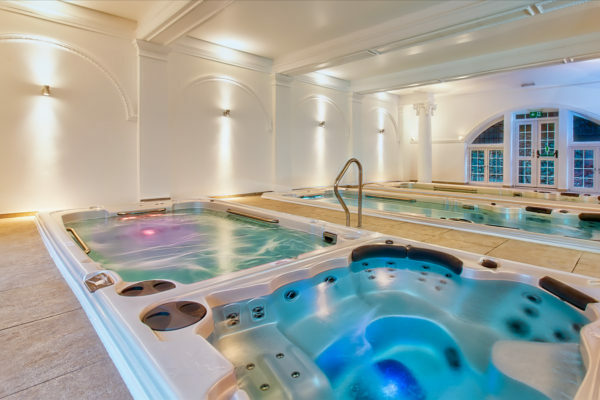 Hydropool Devon has completed a ground-breaking multiple swim spa project at the Headland Hotel in Torquay. This London based garden is 8 metres wide and 6 metres deep. 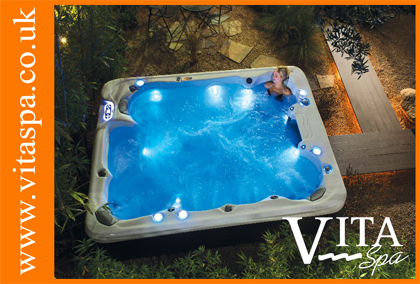 It includes a fully sunk, beautifully specified, state of the art Self Cleaning 700 Hydropool hot tub with exclusive Versa Massage technology.